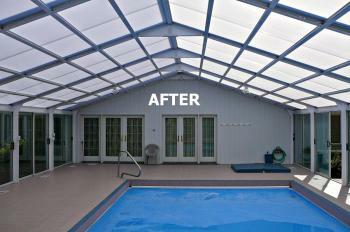 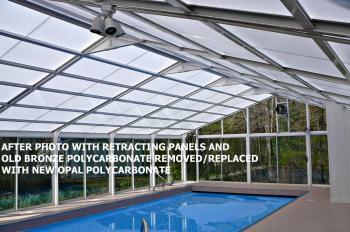 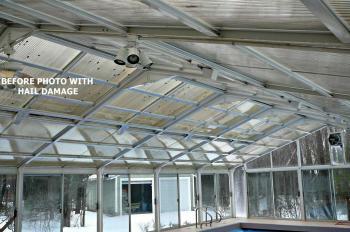 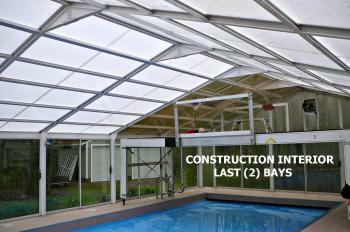 Pool Enclosures, Inc. will reglaze older polycarbonate roof pool enclosures by other manufacturers such as IBG and CCSI (Garden Prairie). 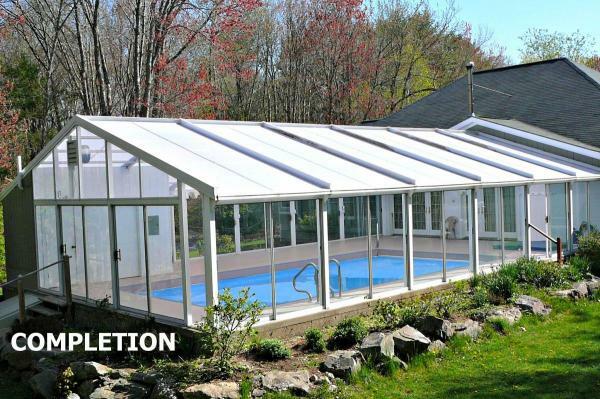 Below are photos of a pool enclosure with 10mm bronze polycarbonate roof glazing and operable retracting roof panels that were not in working order. 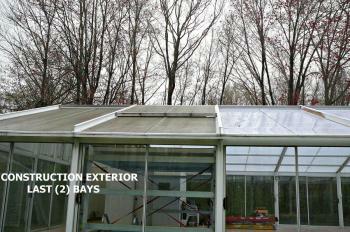 The older bronze tint polycarbonate was removed and replaced with (white) opal polycarbonate. 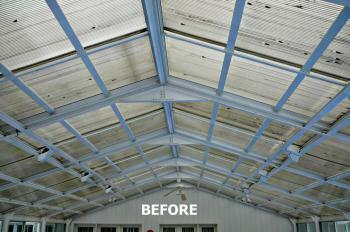 You can see the difference it makes in the appearance. 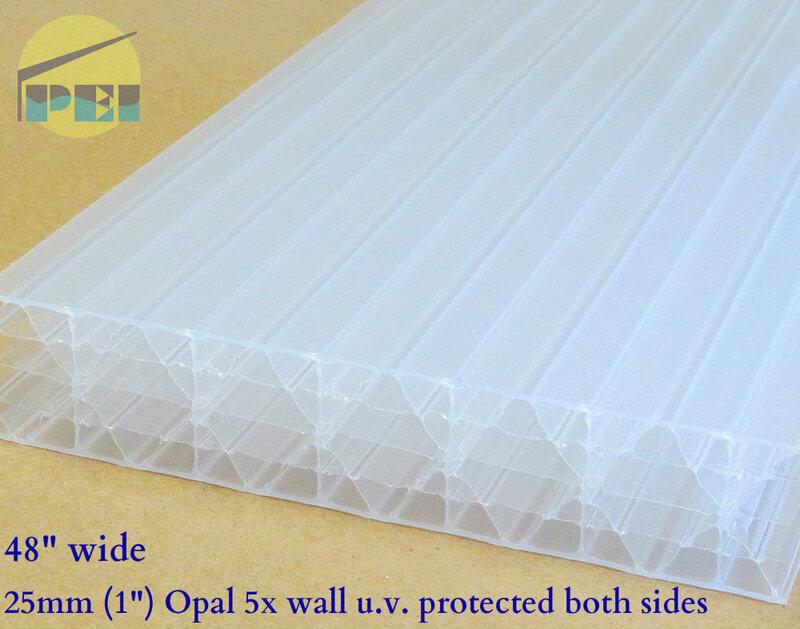 The opal polycarbonate brings in diffused light, hides dirt and bird droppings and will reduce interior heat gain as well...bronze polycarbonate will actually attract solar heat.